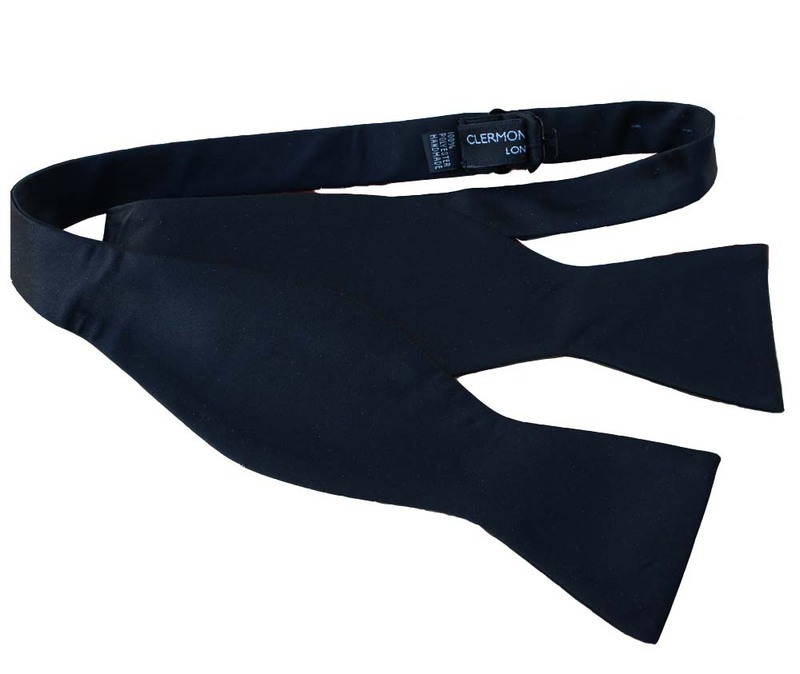 This Self-Tie black bow tie is made from a black satin material. 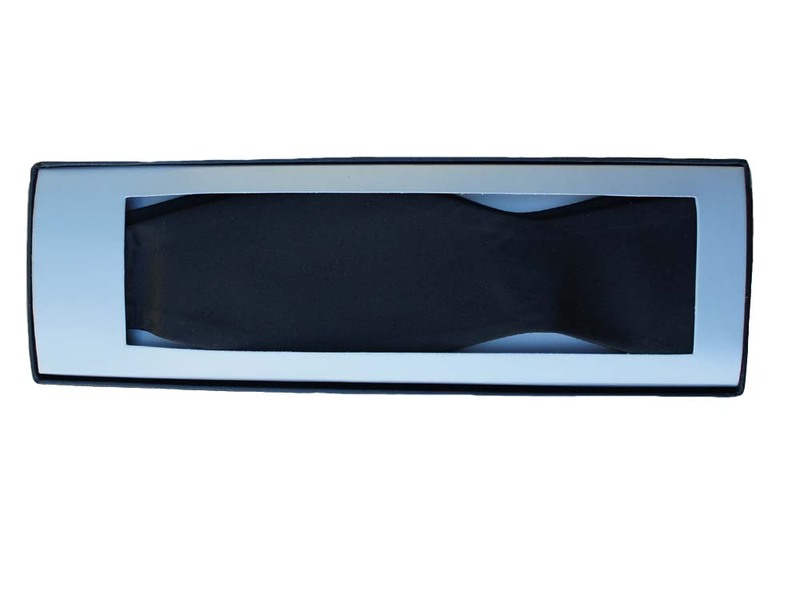 It has a very similar texture to the satin on our dinner jacket lapels and cummerbunds. 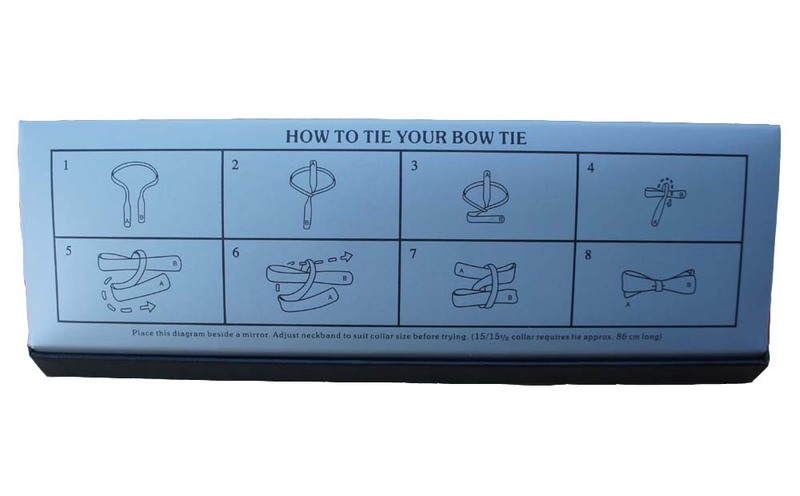 The tie has a discrete adjusting mechanism at the back to accommodate different neck sizes from 14" - 19"